Click on the chart to see a detailed view. 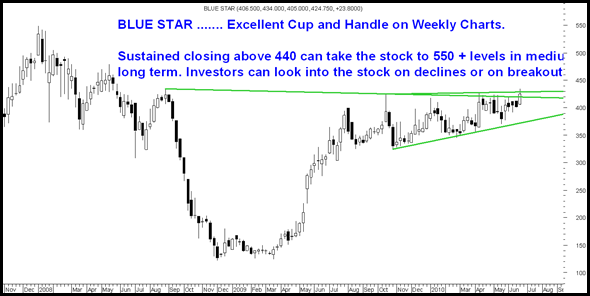 Excellent Cup and Handle – Should target 550 in medium term. 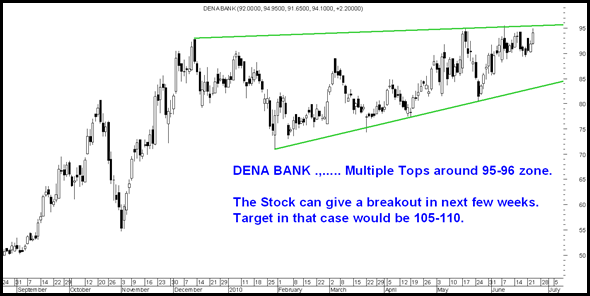 Multiple Tops around 95-96 levels which if broken the stock should head to 105-110 in extreme short term. Watchout for Volumes increase. Stock is consolidating around the zone of 130-134. 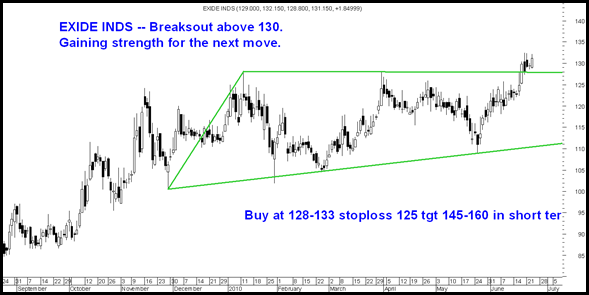 Buy with stop of 125. Recommended to our clients in Delivery Gains and QuickGains Premium Clients at 80-82 with a target price of 100. Partial booking done at 90.
would definately buy blue star but should we buy after breakout or is it that we can start accumulating ??? Satyam y’day gave a Triangle breakout. Stock can be bot at dips with SL 85 for tgt 103. 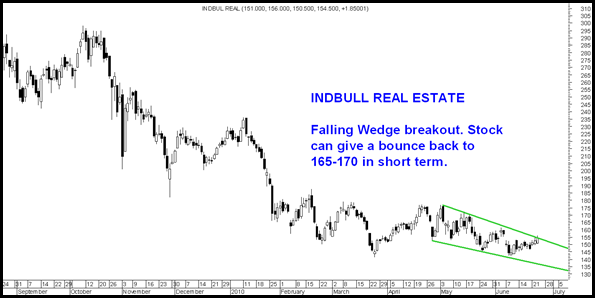 Yes seems a breakout but overall trend is weak so can consolidate. u look like sajid nadiadwala, movie producer. one more similarity, he has also got successes more than the failures, what say. Sir what is your view on United Phosphorous at these level’s…please advice. United Phosphorous i have a long term call initated from 165/185. Remain positive for 250 over the long run. Buy on dips to 180-190. 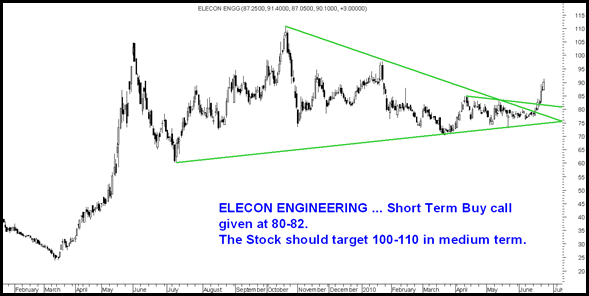 Kindly advise me for Alok and Suzlon which i am holding at higher levels.Can suzlon be retained as a long term bet with one year view and whats the expected target for the same? Alok i would consider to shift into Elecon on Easun reyrolle. Sir what the tgt on COLGATE holding from 720 levels. Shall I book part or wait for more upside to come. Pls give me levels. Hope you are doing well. I have bought Torrent Pharma @ 555/- few days ago. It went up to 590/- and has come down to 560/- . Should I add more if it comes to 535-540 level or exit at cost. to react on my new write up” What is ur trader type ” . 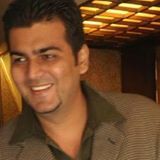 My friends, comments from all of u are very important as i would wanna keep improving myself in my journey of blogging. Missing your QUOTES and SUNDAY THOUGHTS. Pls try to post some SUNDAY THOUGHTS if possible. Booked Profit one half purcahsed above 33. Have another half purchased below 30. Tomorrow it can do 42. For 55 , how much may I have to wait? Will need to be patient for next 6 mths for 55.